Karate Kid came to the neighborhood theaters the summer Mr. Baxter turned 18. After a childhood of wielding homemade bo-staffs with friends inspired by Black Belt Theater and Kung Fu, he and one of those friends were ready to try the real thing. They cracked open the phone book and looked up martial arts in the yellow pages, found a suitable nearby dojo, and scheduled an appointment to visit. After their first class (in a converted roller rink that also housed a gym), they knew they’d found a 2nd home and attended every class Master Wade offered for their rank and age (plus some additional Saturday classes after they begged for even more training). 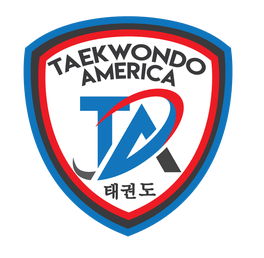 A move to Charlotte NC had Mr. Baxter again looking in a phone book to find a new place to train and off to Mr. Strickland’s Taekwondo Plus he went, where he trained for several years and earned his Senior Instructor certification. Teaching motivated him to become a better martial artist but he hadn’t thought about what his next step and his next goal might be, when an opportunity to run a small club in Concord NC presented itself. Without thinking, at the age of 28 and with no idea where it might lead, he jumped on it. Fast forward 23 years to September 2017. Mr. Baxter has taught over 2,100 students with 255 reaching their own goal of earning a black belt and he had reached the point in his own training where he was scheduled to perform a demo at a national event for his 7thDegree Black Belt in front of a ballroom filled with other school owners, martial artists and their families. He may have been a little nervous, but he was ready. After all, he’d been training for this demo for months though in reality the past 33 years had been preparation for this moment. What did it feel like to do a demo in front of thousands and earn a 7th Degree Black Belt?